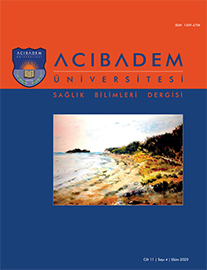 4Sinop Üniversitesi, Sağlık Yüksekokulu Hemşirelik Bölümü, Sinop, Türkiye DOI : 10.31067/0.2018.93 Aim: In this study, the dissertation research ethics as applied to experimental and quasi-experimental studies undertaken in the field of nursing in Turkey were examined. Materials and Methods: It is a retrospective and descriptive study. The theses were accessed by browsing the "National Thesis Center" of the Higher Education Institution. For the research, the full texts of doctoral dissertations undertaken with an experimental / semi-experimental research design within the nursing field were studied. The theses were evaluated by using a questionnaire developed by the researchers in the light of the existing nursing literature. The data were evaluated as absolute numbers and percentages using the SPSS 21.0 software. Findings: 720 doctoral theses that fell within the scope of the study were accessed from the nursing theses held in the national thesis center for 1985-2016; then 470 theses matching the criteria were examined closely. It was determined that 59.1%of the theses examined employed an informed consent form and were of experimental type, 90.2%of them had obtained institutional permission and 85.5%of them had been approved by an ethics committee. 89.6%of the theses do not indicate in the informed consent forms how the participants" data were to be held; 51.8%contain a declaration that information will be kept confidential.